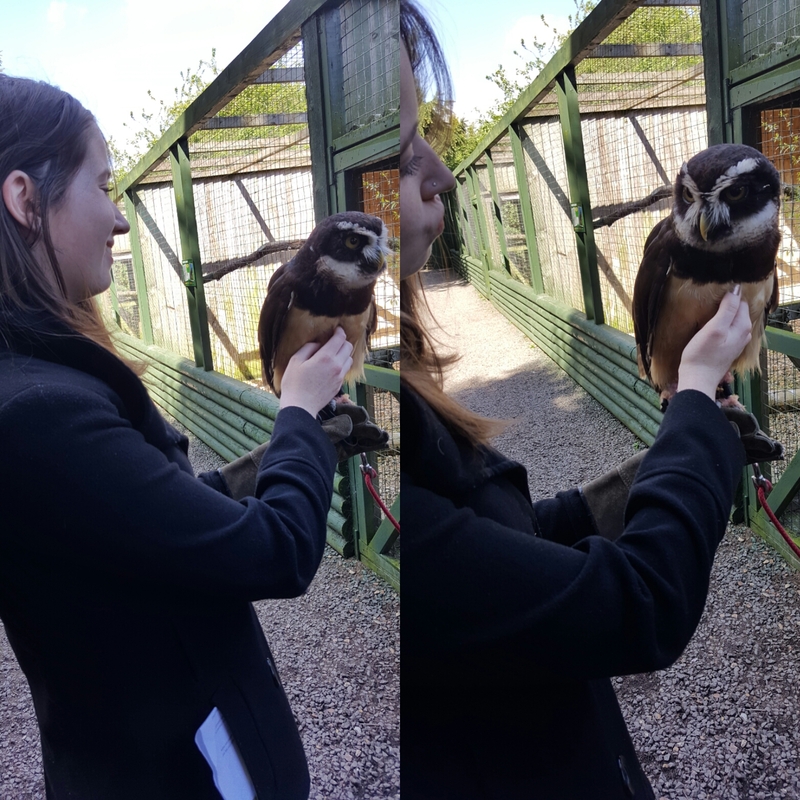 Last Sunday I had a fantastic day at Hoo Farm. I'd bought my step mom an animal experience off of wowcher and we had finally got around to using it. We got to meet Duma the Serval, Specsavers the owl, the two red foxes and a boa constrictor. It was a wonderful day the guide was very knowledgeable and good with the animals and it was amazing how close we got to these wonderful creatures. We got to feed the foxes, stroke the Serval, hold an owl and a boa constrictor. The owl was called specsavers and was in Harry Potter and the deathly hallows part 1. She was a beautiful creature you got to hold her on your hand and stroke her and she would nod off to sleep. 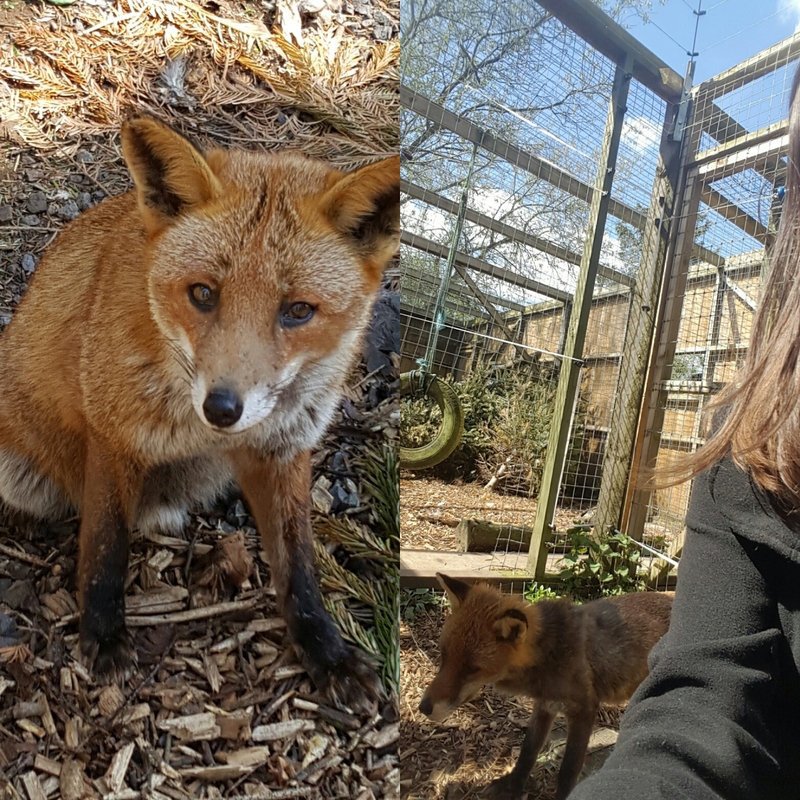 The foxes didn't get close enough for a stroke but they certainly came close enough for the food. It was amazing to be so close to some beautiful creatures. 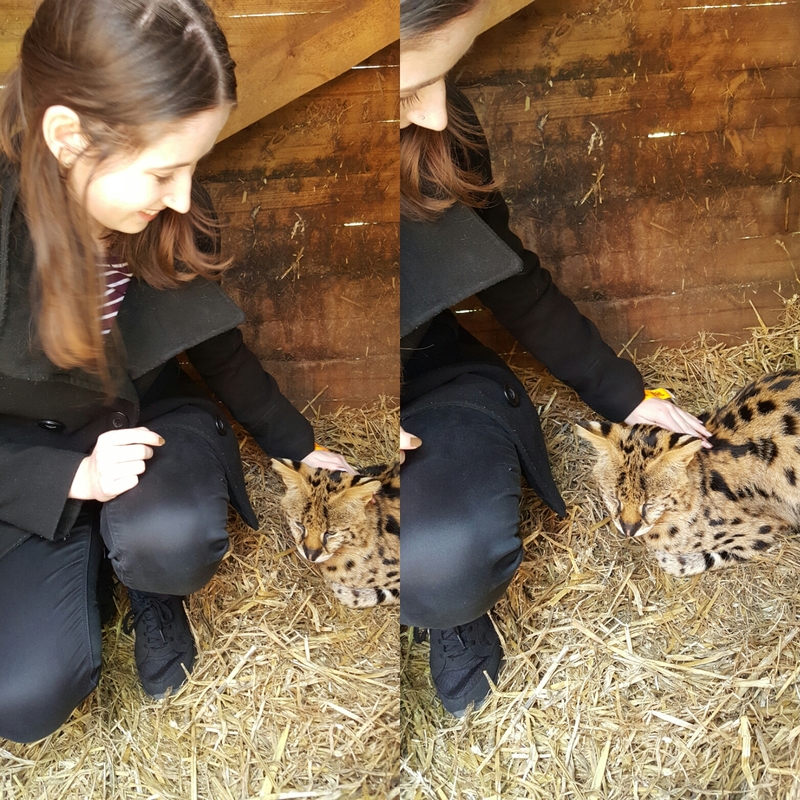 We had met the serval previously on the meerkat, lemurs and Serval experience. However we didn't actually get chance to get right up close. We got to stroke him from afar, but this time we got to go into his bed sit with him and stroke him. They are such amazing creatures and he seemed partial to abit of fuss. 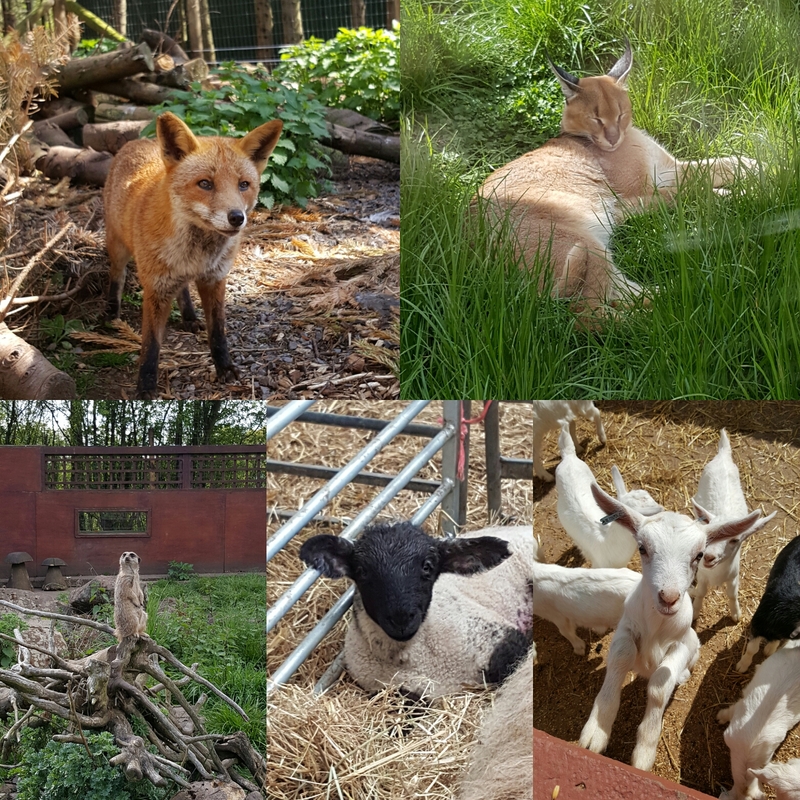 After the animal experience we had a wander around the rest of the farm and fed some of the other animals. The little goats were so sweet and they were all jumping around trying to get some food. It was such a wonderful experience and a smile was plastered on my face the whole day. I definitely feel that Hoo Farm is my new happy place and will definitely be returning to try one of the other experiences.